PK Bennett Jewelers Inc. was founded in 1988 by Rich and Peggy Bennett. In the beginning, we concentrated on repairs and the manufacturing of fine custom jewelry. In May of 2001, we opened our storefront located at 736 South Butterfield Rd. Mundelein, Illinois. With the opening of our store we concentrated on our mission of providing the full fine jewelry store experience and service to each and every customer that visits our store. 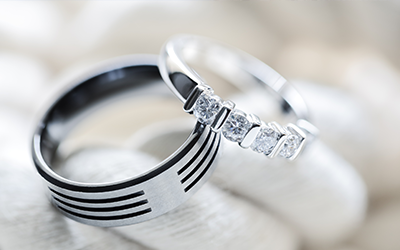 This experience includes providing a full service jewelry shop capable of custom designing and manufacturing, repairing or refinishing any jewelry item that is presented by our customers, on our premises. PK Bennett Jewelers has embraced the tools of the 21st century by using CAD/CAM software and machines, a Laser Welder and a computer operated engraving system to provide a level of jewelry shop expertise that is unmatched in the Lake County area. PK Bennett Jewelers has also become known as the Diamond Expert by providing each and every customer a diamond education, so that they are empowered with the knowledge that the diamond they buy has been selected by them to be of excellent quality and value. 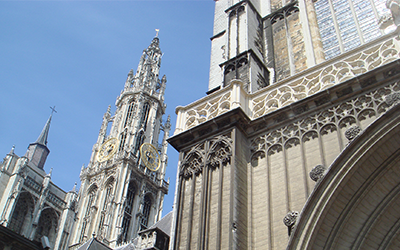 By traveling to Antwerp Belgium every year Rich and Peggy are able to bring back the "Pick of the Litter" Diamonds for their customers. Every diamond is our store is hand picked by us to be the very best diamond at the very best value. We have well trained, and efficient sales associates on staff to provide the level of service our customers require and expect, and it doesn't stop there. Our employees are required to maintain an industry awareness of new fashions and ideas. They also take ongoing education classes to raise their knowledge base, so they can provide intelligent answers and solutions to our client's questions and needs. All of this is accomplished while maintaining that special family business atmosphere we are known for. We give you our personal guarantee that you may enter our store as a new customer, but you will leave with the knowledge that your needs have been met by the new friends you have made.